I don’t know about you, but my inbox is bombarded by articles about Brexit. As an employment lawyer, they normally relate to employment law. The trouble is, they generally say the same things – the law has not changed yet, it probably will not change for a few years, it may not change even then, and when it does change, we do not know exactly what form it the changes will take. It is for that reason that on 24 June I advised that we keep calm. That remains good advice. Much will happen, of course, over the next few years. We almost certainly will leave the European Union (EU). When we leave, we may or may not remain part of the European Economic Area (EEA) like Norway. If we remain in the EEA, we may have to retain all or most EU employment law. If we leave the EEA, we will have more freedom to decide, but many employment laws will remain in place whatever happens. Like many other areas of law, rights have become “entrenched” in the UK’s approach to employment laws. So, for instance, it is hard to imagine the UK without discrimination law. And much EU legislation has been “gold-plated” by the UK government in any event; meaning that we ourselves have voluntarily added the extra burdens or benefits for employers, without any mandate from Brussels. I’ll give you just one example of this: the UK grants workers 28 days of annual leave each year. However, it is difficult to imagine that after leaving the EU, the UK would grant workers less than this, and even harder still to envisage a situation where we might grant less than the 20 days guaranteed by EU law. That said, we might well be entitled to stop following European Court of Justice (ECJ) judgments on holiday pay, which currently dictate that overtime and commission must be taken into account when calculating rates of holiday pay; for example, if a worker’s basic pay is based on working 36 hours a week but normally it is more because of overtime or commission, that extra pay should also be reflected in holiday pay. One area may require further elaboration, given its direct link with brexit, and that’s the law of immigration and employing foreign nationals. Clearly this topic resonated throughout the UK as we approached the referendum, and rightly or wrongly, it was probably a prime reason for the way the vote went. It is also a principal area of contention for politicians as we work out how to leave the EU – some Tory MPs want free trade without free movement of people, but it may be that we have to accept free movement of people if we remain part of the EEA. However, nothing has changed yet, and there is no reason to alter your policy yet on employing foreign nationals. It is unlawful to employ a foreign national who does not have the required immigration status; but if an immigrant’s status changes such that that worker no longer has the right to work here, at that point you will be required to act accordingly. To change your approach now would penalise foreign workers unnecessarily, and may even be unlawful race discrimination. The linked article says something quite important. 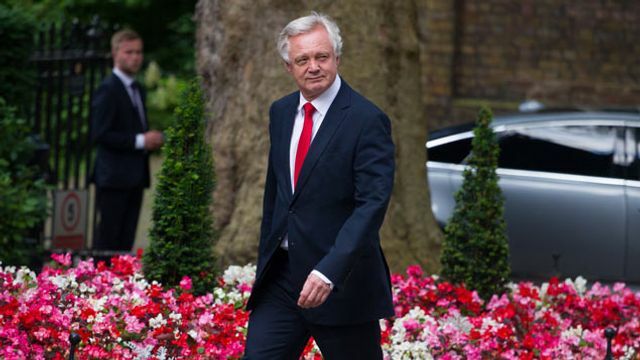 David Davis, recently appointed by Prime Minister May as chief brexit negotiator, has indicated that UK employment law would not radically change after we leave the EU. He says that the empirical evidence shows that current levels of employment regulation does not limit growth. In addition, he suggests that it would be unfair to punish workers, many of whom voted for Brexit, by cutting their rights. So that leads to a conclusion for the moment, that we should not anticipate a lot of change for either employers’ or employees’ rights under UK law. If and when more concrete developments occur, as always, you can rely on us to bring them to your attention, clarify what they mean for you and to give pragmatic recommendations on how you should act next. Till then, it’s very much business as usual.